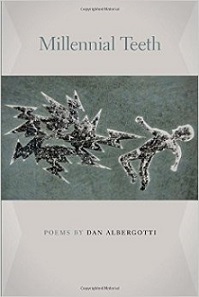 It is easy to see why Dan Albergotti’s 45-poem book, Millennial Teeth, won the 2013 Crab Orchard Series in Poetry, selected by final judge Rodney Jones. These poems are ambitious, and broad in theme, and a tour de force in form. In a time when some poetry books are based on delicate epiphanies (or "epuffanies" in some cases), Albergotti’s voice is direct as he explores both inner and outer themes. Perhaps because I recently read an essay about W. D. Snodgrass, I think it is not incorrect to read Albergotti as a confessional poet, in the best sense of that word. Mary Oliver has mastered erasing the line between speaker and reader, but do we think of her as a confessional poet? Perhaps, but reading Albergotti’s work is more akin to taking a shot of burning whiskey than basking in sunshine on the beach. Another theme from that poem is expanded upon, gradually—the inability to refrain from rituals, even brief hopes, as we wrestle with what each day brings. The regular arrival of days themselves, one after one another, is yet another aspect of perhaps the main theme of the book—inevitability. Images of war or terrorism from at least three historic periods appear in poems, with the common theme that children inexorably grow up into the adults that seemingly cannot break such cycles of violence. Like Rachel of the Bible, who “refused to be comforted for her children,” (Jeremiah 31:15), the speaker adamantly refuses easy resolutions for the death of his mother, the umbilical cord-caused brain damage of his elder sister, or the coldness and bitterness of his father. There is a sense of emotional exile in the speaker, yet also too much honesty and compassion to prevent their memories from pervading the book. Work like this belies the assumption that a poet’s work wanes after one’s twenties. We can all look forward, I believe, to Albergotti’s next book. 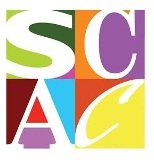 In a time of difficult budgets, I also have to add a word of thanks to the Southern Illinois University Press, not only for the Crab Orchard series, but also for its loyalty to its authors as evidenced by the booklist at the back of this volume. Mark Dawson lives in and writes from Washington, D.C.